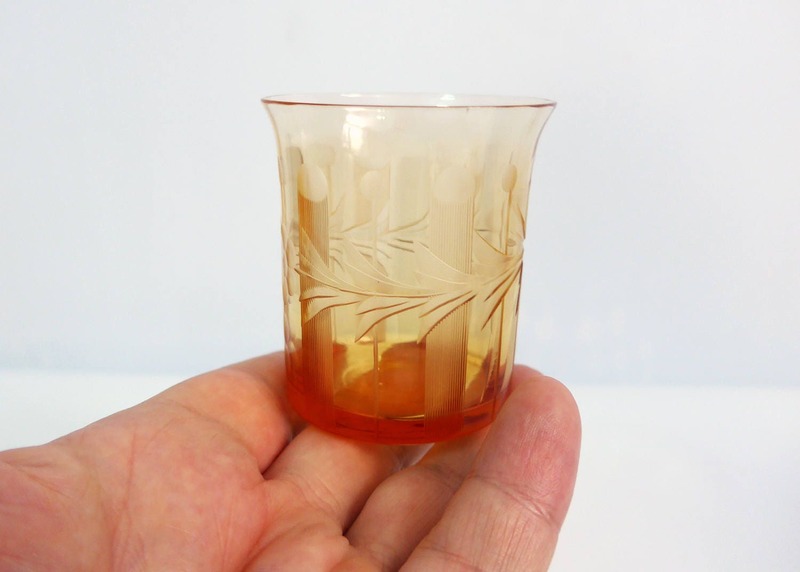 These are a set of 5 wonderful amber colored shot or small juice glasses from the past. 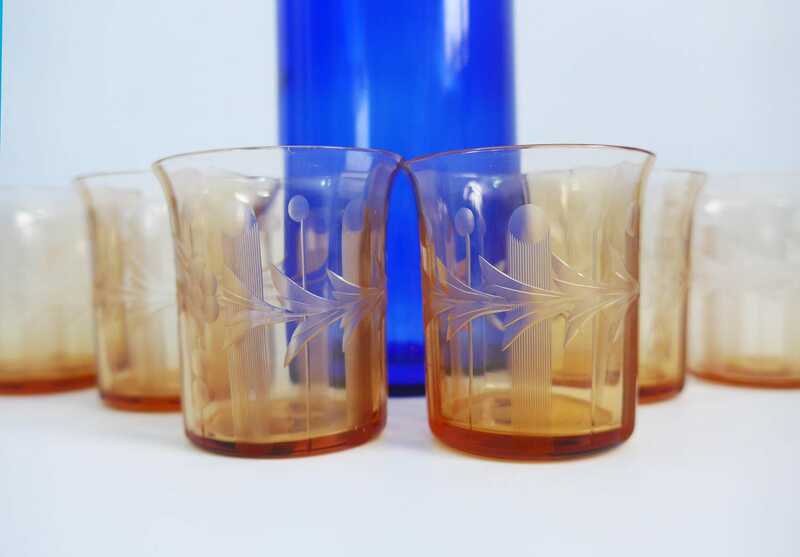 They feature an etched design on the sides that has lines in a rounded column that is vertical, and flowers, dots and some leaves that encircle the center of each glass. 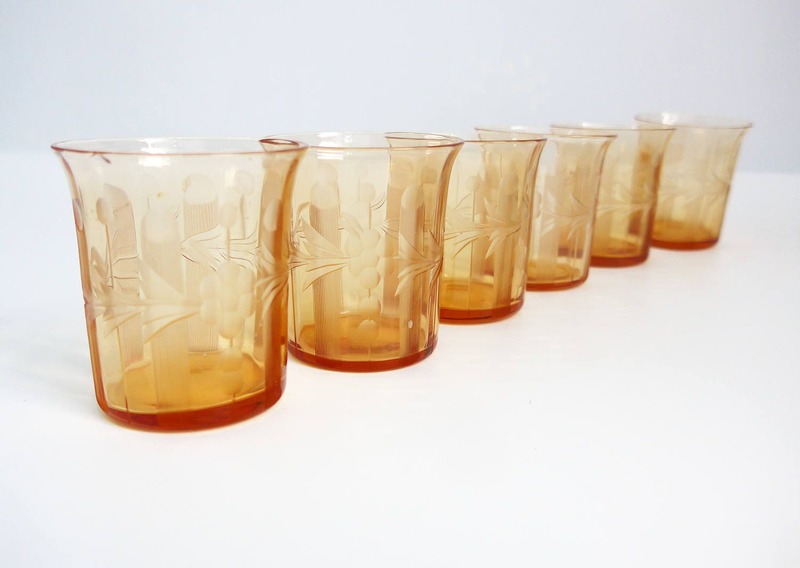 I believe these are circa 1930s and are Depression glass. Measure approx. 2 1/3" high. Top opening is approx. 2" across. Bottoms have a 1 3/4" diameter. No markings on them. 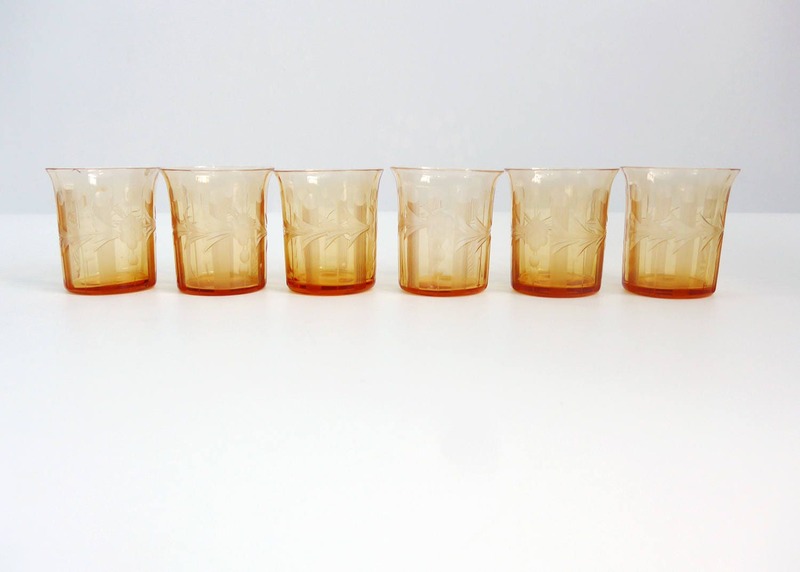 5 are in excellent vintage condition with no chips or cracks. 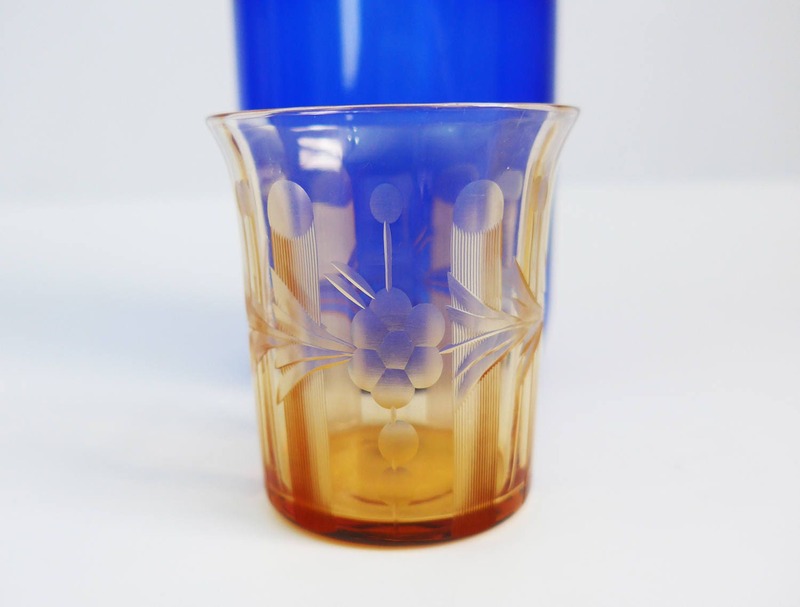 The sixth glass, the PLUS, has a small crack on the top rim. It is included as a bonus and you can use it if you choose.